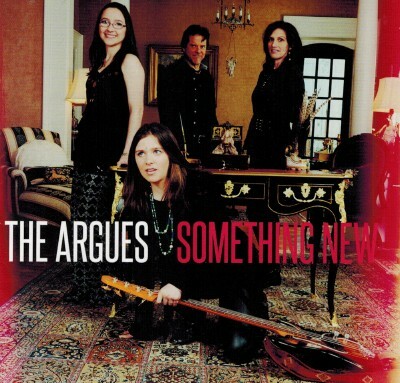 The Argues are an Indie Canadian family band from Springwater, Ontario. They formed as a band in Toronto in 2010 and eventually moved to Springwater, Ontario. Since forming as a band, they performed at countless festivals, theatres, ribrests, bars and corporate events. The Argues band comprised of sisters Sabrina and Lauren, their father Michael and their mother Chantale. Both sisters sing and play a variety of instruments, Chantale plays drums and Michael plays guitar. They are serious musicians and songwriters and it is their individual personalities inspire the bands unique original sound. The debut album, Something New, is now played on over 50 radio stations in the US following its pre-release this past summer. Many comments regarding the band and their music is very favourable such as- an Updated Cowsills Band-They really Rock-playing classic rock and blues in a band is awesome-So Cool. The album was produced by The Argues with Michael Jack and recorded at Thunderbrook Studios. The band have a number of videos on their website including our favourite, Run Till You Drop which is included on the album. Atlantic Seabreeze gives this album a five star rating out of 5 stars on its rating list. What a great sounding family band and this album would be a welcome addition to all music libaries! For more information regarding the band & their music, refer to The Argues website, address posted above.